This bread has been rather humbling. It started out with the concept that “banana bread isn’t so complicated” and “I am totally owning this gluten-free-but-you-can’t-tell baking thing”. 50,000 loaves later, here we are. It originally had pistachios in it, and once baked up in a skillet – which sounds a lot cooler than it ended up being, unless you want to eat unsightly triangular slabs of banana crumbs. At least it was delicate. 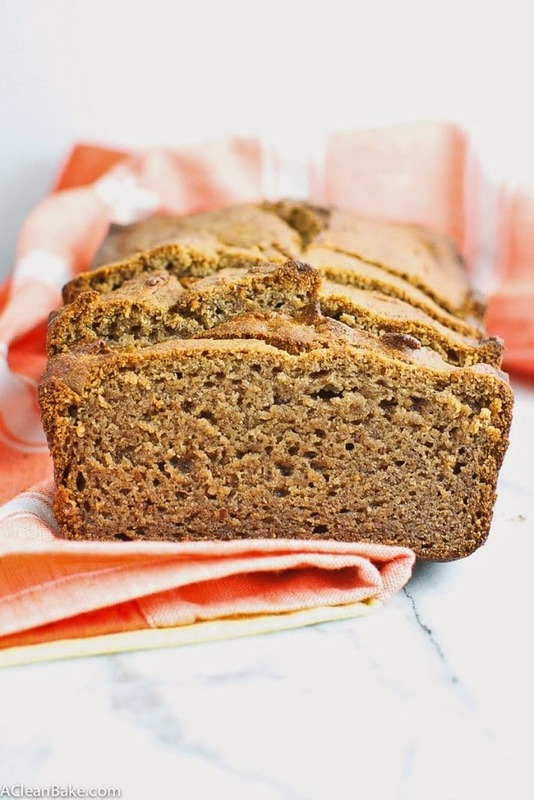 Banana bread usually consists of a few basic ingredients – bananas, fat (butter or oil), flour, binding agent (eggs) and leavener (baking soda or powder). Plus whatever sweeteners or add-ins or embellishments you care to throw in. So why did it take so many trips back to the drawing board to get to this? Moisture. Bananas and oil contribute moisture, but gluten-free flours, especially oat flour, soak it all up. Quickly. Balancing the seemingly-overkill portions of oil with the unquenchable thirst of the flour was a much bigger challenge than I bargained for. But don’t worry: after tweaking and testing and trying and failing, a gluten-free banana bread emerged from my oven that lived up to the real thing. Guys, you’re in for a real treat. Add nuts of any kind, but my recommendations would be walnuts and pecans, preferably toasted. Throw in a dash of flavor extract. Earthy flavors work, like almond or maple. Pour half of the batter in the pan, followed by a layer of Nutella. Top with the rest of the batter. So, feel free to get creative, but don’t go overboard or you’ll risk drowning out the delicious, slightly caramel-y taste of the bread itself. 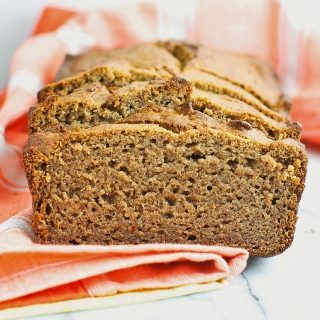 It’s moist and springy, soft and chewy, and gives the best gluten-y banana breads I know a run for their money. Preheat the oven to 450F. Coat a 9" loaf pan with nonstick spray and set aside. In a large mixing bowl, whisk together the dry ingredients (oat flour through baking soda). Fold in add-ins, if using. Bake at 450 for 5 minutes, then, without opening the door to the oven, turn the temperature down to 350 and bake for another 35-40 minutes until a tester comes out clean. Cool in the pan for 10 minutes before cooling completely on a wire rack. Store in an airtight container at room temperature for up to 5 days, or in the freezer for 3 months.